You’re a Personal Trainer looking for proposing something new to your customers and you know that working balance is a great way for them to reach efficiently their goals. You like using instability tools in your sessions bringing challenge and fun in the same time to your customers. You will love working with B-BOARD® ! LIE DOWN ON YOUR STOMACH ! Once again, use the B-BOARD® logo to center your body ! This position will be the beginning of all the Yoga combinations and Pilates movements to strengthen the back muscles. Your customers will be able to do some push ups with the instability and feel the benefits of this type of training. LIE DOWN ON YOUR BACK ! It’s time to do some crunches ! Your customers will feel the difference due to the instability of the B-BOARD® ! They will be able to control their body and coordinate their movements depending on the movement of the BOARD® ! You will be able to use the B-BOARD® mixing movements on the ground and on the B-BOARD® ! That’s a good way to optimize the benefits of the instability and focusing on balance. 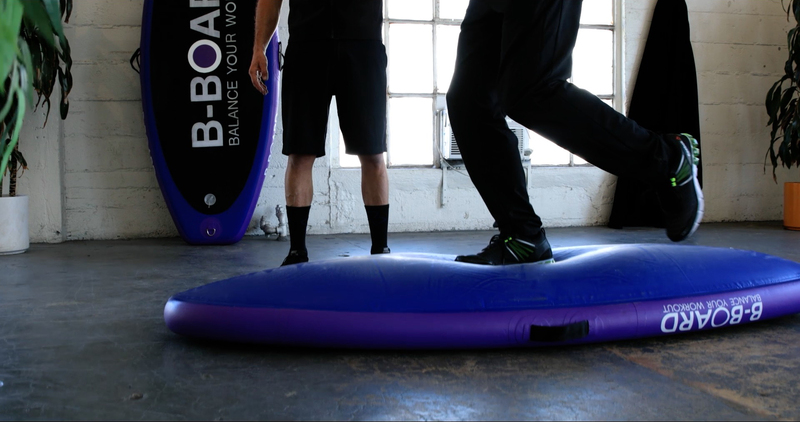 Place your B-BOARD® upside down on the ground and use the inflated bottom part for more diversity in your training ! 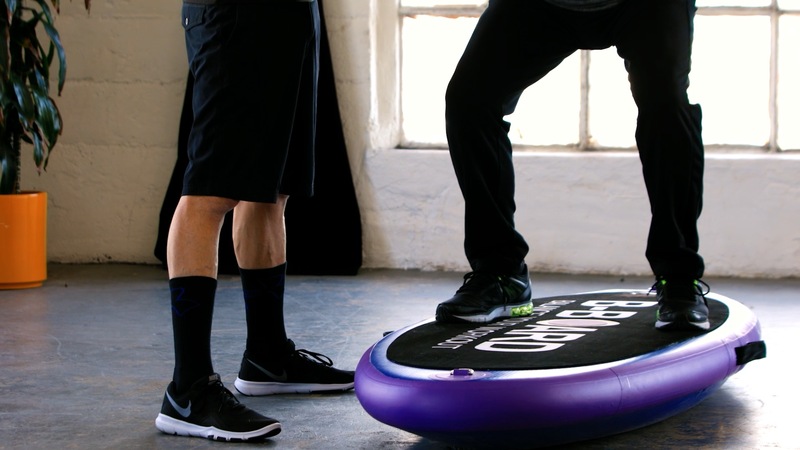 Customers will love jumping on the B-BOARD® and will feel quickly the benefits !